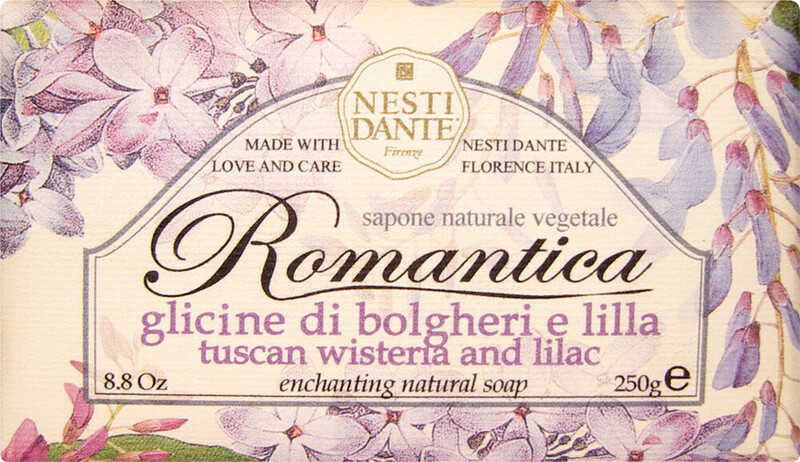 Enjoy a moment of pure bliss with the Nesti Dante Romantica Tuscan Wisteria and Lilac Soap, an invigorating cleanser to transport your mind and body to a place of peaceful tranquillity. Lose yourself in the delight of Tuscany’s most enchanting fragrances with wisteria and lilac, a powerful combination of refined beauty and sumptuous cleansing. The magical allure of wisteria transforms your bath time into a moment of pleasure, invigorating your body with an elegant, energising essence. The formulation of whole neutral vegetable fats and raw materials enrich your skin with moisture and hydration, ensuring your skin feels beautifully soft with every use.